The sE pop shield is exceptionally effective. The mesh head is made entirely from steel, rather than the old-style ‘ladies tights’ design. It almost completely eliminates unwanted vocal pop, while leaving the vocal phase coherent, and with no significant loss of high frequency content. 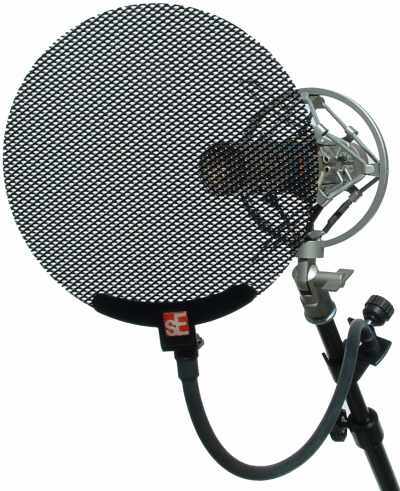 This thing REALLY works, and will make a big difference to the quality of your vocal recordings… Try it and be truly amazed!